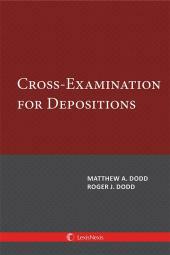 Undermining the opponent's case and discrediting the opponent's witnesses have historically been viewed as primary goals of cross-examination. However, counsel can also use cross-examination constructively to control the opponent's witnesses so that the witnesses will advance the attorney's own theory of the case. This use of cross-examination can be devastatingly effective, yet many attorneys fail to deploy it. 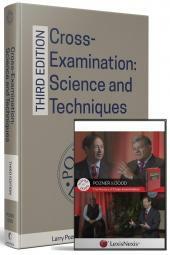 With authoritative guidance from Larry Pozner and Roger Dodd, The Masters of Cross-Examination DVD set gives attorneys the practical tools to unleash the power of constructive cross-examination for better trial outcomes. 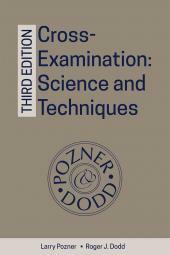 Four DVDs, containing nine lectures, provide detailed guidance on the authors' signature "Chapter Method" of preparing for cross-examination, as well as proven techniques for controlling witnesses.